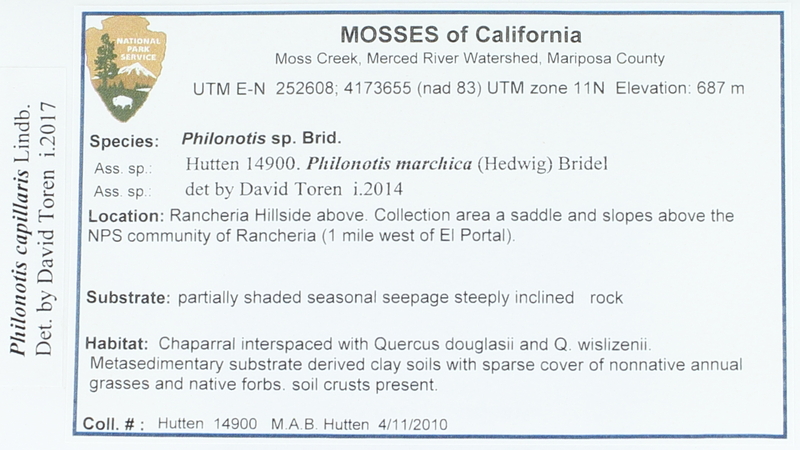 Locality: USA, California, Mariposa, Moss Creek, Merced River Watershed. Rancheria Hillside above. Collection area a saddle and slopes above the NPS community of Rancheria (1 mile west of El Portal). Habitat: Chaparral interspaced with Quercus douglasii, Q. wislizenii. Metasedimentary substrate derived clay soils with sparse cover of nonnative annual grasses and native forbs. soil crusts present.